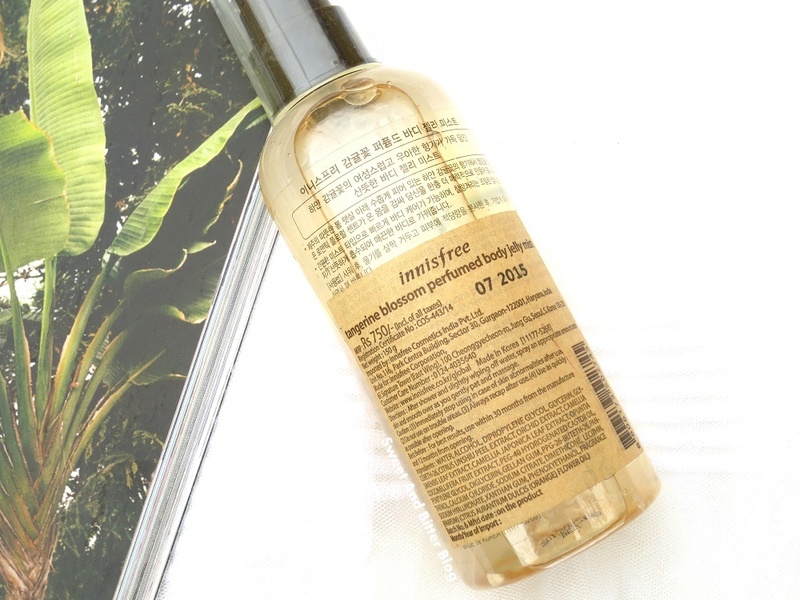 2013: Innisfree come to India. I was in Kolkata. So, I forced Mr. Boy (who was in Delhi that time) to visit the store. He brings me back a huge bird cage filled with Innisfree goodies. 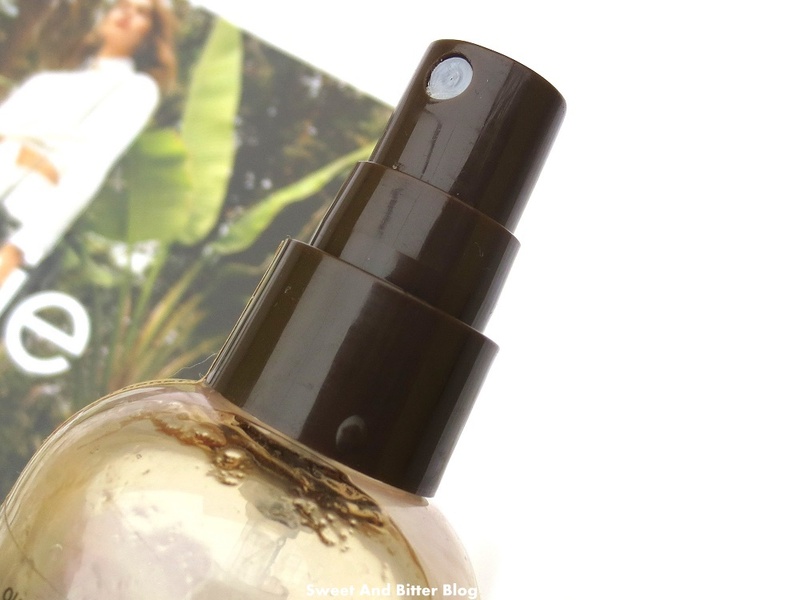 Among all the things, one thing won my heart - the Tangerine Blossom products. I loved the fragrance and promised myself to buy them when they make it permanent. 2016: I went to Innisfree, Khan Market, Delhi. My first visit to Innisfree. There I found it sitting pretty on the shelves, the entire Tangerine Blossom range. The color pattern was different but I do not take long to recognize my old love. I found this interesting product - Jelly Mist. I said to myself, "Must try new things"
My romantic heart continued, "But, I love the fragrance!" Brain, "You have to test!" Heart, "We both know that we don't have that kind of time in hand. We were supposed to leave 15 minutes back." Turns out, I should have listened to my brain. Texture: This one of the unique feature I have ever seen. It is like a jelly. It comes out and sits on your skin. You need to pat it on and apply it like a lotion. Fragrance: Light, breezy, fresh floral citrus. It is different from everything I have tried and I cannot even compare it with anything. Not even 10% of this matches with anything I know. I love it to the moon and back. It is exactly how it was when I tried it in 2013. Longevity: Low. By low, I mean not even lasts on my skin for more than 15 minutes. I tried using it on moist skin, I tried with moisturiser and I have tried using it so much that I practically bathed in this. But, it still does not last more than 15 minutes :( But, my room smells of this and everyone who enters it says that it smells nice. I faced the same issue with the Tangerine Blossom shower gel. Overall: I found this after 3 long years and it does not linger on me. I feel betrayed. I wish to bury my face in a pillow and shout. #IamSerious I think I should have picked the lotion but then I am trying not to used lotions and creams. Anyways, I am going to use it as a 'pick-me-up' and never as a fragrance. Who wears a fragrance which does not even lasts till you move out of your home? 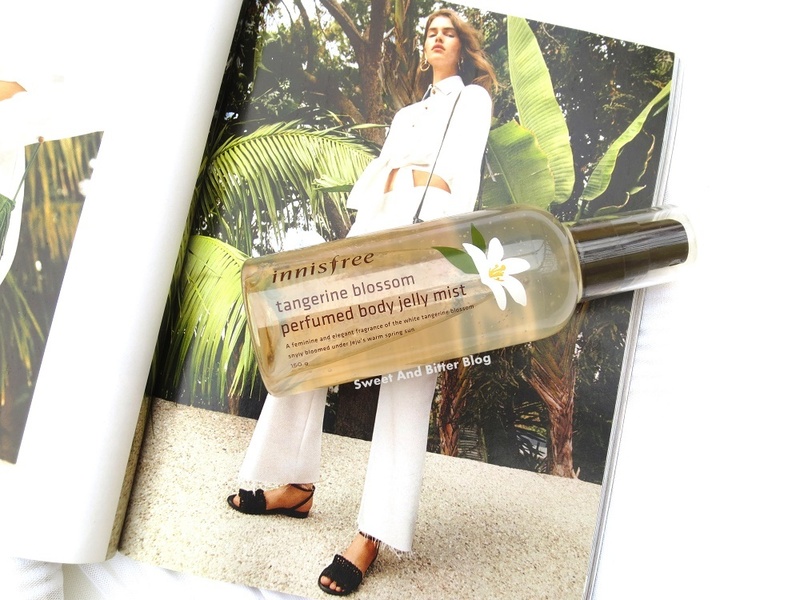 But, the question is - It is a 'perfumed body jelly mist'. 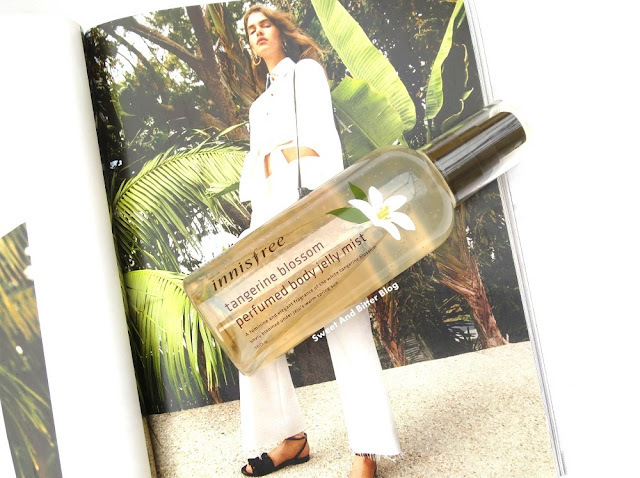 So, is it really a perfumed body mist? Or just a body jelly? Am I putting too much pressure on this product?